If you know anyone who's a member of The Hurlingham Club get them to take you there. A true gem in the middle of Fulham, the Georgian Clubhouse is set in 42 acres of magnificent grounds, there's tennis with over 40 courts (dress code applies), croquet, cricket, bowls, golf, squash and swimming (indoor - the outdoor pool is currently closed) as well as a Fitness Centre and gymnasium. It's particularly popular with frightfully well connected Fulham families who've been coming here for generations. Not surprisingly, getting full membership to the Hurlingham is more difficult than getting a camel through a needle's eye - you pay £150 to join a waiting list which typically takes over 15 years to get to the top of. But the venue is also available for hire and does run some open events like their summertime croquet tournaments, the Hurlingham Ball, Family Picnic Evening and, on Guy Fawkes Night, a fireworks display. Hurlingham Club gyms, sporting activities, health & beauty and fitness. What are the best dining options near Hurlingham Club London? The best pubs near London Hurlingham Club. 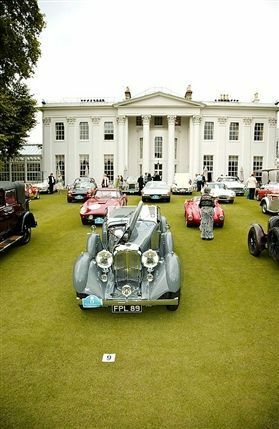 Hurlingham Club clubs, bars, cabaret nights, casinos and interesting nightlife. Where to have your meeting, conference, exhibition, private dining or training course near Hurlingham Club. From cheap budget hotels to luxury 5 star hotels see our deals for Hurlingham Club hotels, including DoubleTree by Hilton Hotel London - Chelsea from 81% off.